KELOWNA, BC, Nov. 29, 2018 /Prexly/ – Valens GroWorks Corp. (CSE: VGW,OTC: MYMSF) (the "Company" or "Valens"), a licensed, vertically integrated provider of cannabis products and services focused on various proprietary extraction methodologies, distillation, cannabinoid isolation and purification, as well as associated quality testing is pleased to announce it has established an expanded research collaboration agreement with Thermo Fisher Scientific. "We're committed to providing a one stop solution for cannabis safety testing across Canada and advancing plant research. 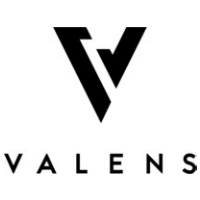 Our collaboration with Valens will allow us to improve workflows and validate methods," says Keith Bisogno, Thermo Fisher Scientific Corporate Senior Director for market development, "With our comprehensive portfolio of analytical instruments and broad line of laboratory products Thermo Fisher can uniquely support Valens' vision for its Centre of Excellence for Plant Based Science." The Company granted 50,000 options to a consultant to purchase common shares of the Company, exercisable at a price of $1.25 per share, expiring on November 27, 2020. The options were issued pursuant to the terms of the Company's stock option plan and are subject to regulatory approval. Notice regarding Forward Looking StatementsThis news release contains certain "forward-looking statements" within the meaning of such statements under applicable securities law. Forward-looking statements are frequently characterized by words such as "anticipates", "plan", "continue", "expect", "project", "intend", "believe", "anticipate", "estimate", "may", "will", "potential", "proposed", "positioned" and other similar words, or statements that certain events or conditions "may" or "will" occur. These statements are only predictions. Various assumptions were used in drawing the conclusions or making the projections contained in the forward-looking statements throughout this news release. Forward-looking statements are based on the opinions and estimates of management at the date the statements are made and are subject to a variety of risks and uncertainties and other factors that could cause actual events or results to differ materially from those projected in the forward-looking statements. The Corporation is under no obligation, and expressly disclaims any intention or obligation, to update or revise any forward-looking statements, whether as a result of new information, future events or otherwise, except as expressly required by applicable law.